There are two levels of social media users - those who use it to keep up with friends and family, occasionally sharing thought-provoking pieces and funny memes, and those of us who use our social media accounts as vehicles for promoting content, while treating the channels like our personal brand. Post Intelligence is for those of us in the latter. Released today on Android and as a web app, Post Intelligence is your personal social media assistant, created by former Google executives Bindu Reddy and Arvind Sundararajan. Thanks to their experience in big data, social publishing, and a mutual belief in a future full of artificial intelligence and deep learning, Post Intelligence takes all of this expertise and presents users with an advanced social media tool. Using advanced artificial intelligence technology, it will help you manage, and improve, your Twitter, Facebook, and Pinterest accounts with plans for Instagram and Snapchat integrations also in the works. Post Intelligence has many of your basic features included, things like timed posts and posting to multiple accounts, as well as analytic reports and insights, but takes it to the next level with their use of machine learning and artificial intelligence. 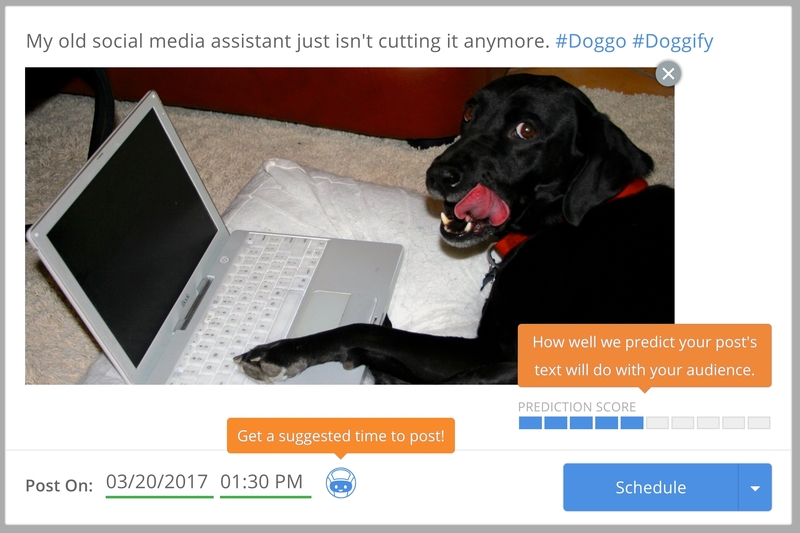 With Post Intelligence, users can expect quite a few features that aren't present in basic social media managers, and this is due to it being able to analyze past posts to figure out what your audience likes and what falls to the wayside. Some of these features that rely on the AI include performance predictions and content suggestions. Performance predictions will give you a good idea of how engaged people will be in your post and content suggestions will give you recommendations on what will work well with your audience. Both of these features will improve and become more accurate the more you use them. This is just the beginning for Post Intelligence. Future plans include finishing up the iOS app and getting voice recognition (that also uses AI to match your social media tones and quirks) running with the mobile apps. This system will also get smarter the more you use it and begins to understand you and your opinions, and eventually will be able to run without much user interaction needed. The goal is to tell PI something like, "Hey PI, come up with a tweet about how unhappy we are with healthcare reform," and the system will take everything it knows about you, your style, and your opinions to come up with a fresh, unique post. This feature is still a little ways off, but it really goes to show the power of artificial intelligence and how it can be used in parts of our lives we never considered. It will be interesting to watch how this all plays out, but considering the power of the current product that just released today, expectations are high.